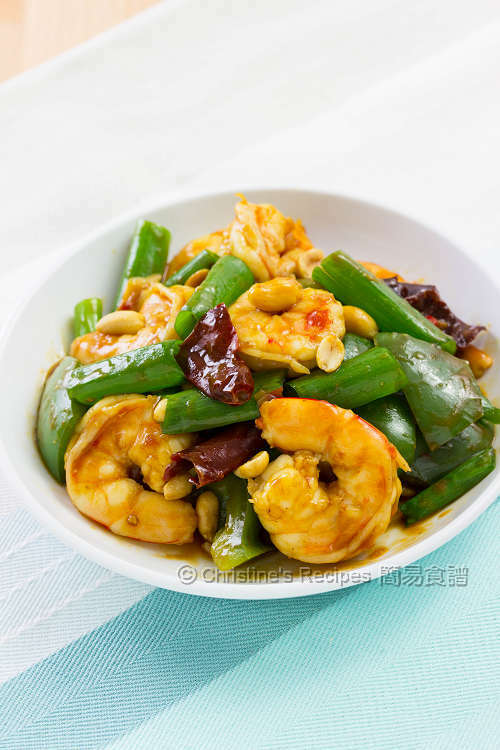 Having tried the classic Sichuan dish, Kung Pao chicken many times, I really wanted to detour and experiment with prawns. Here’s my own version that I tried several times with great satisfaction. I sautéed the prawn heads with some oil so that the whole dish took up a big fragrance of prawns. 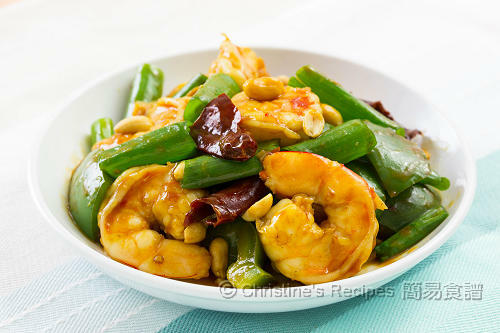 The sticky, spicy and sweet sauce makes you want more of the prawns. It goes really well with a bowl of steamed rice. If you’re into hot food, you may add more chillies to your liking. Mix prawns meat with marinade. Set aside. Heat 2 to 3 tablespoons of oil in a wok over medium-high heat. Saute the prawn heads. Let the oil absorb the prawn fragrance. Discard the prawn heads. Leave as much oil as you can in the wok. 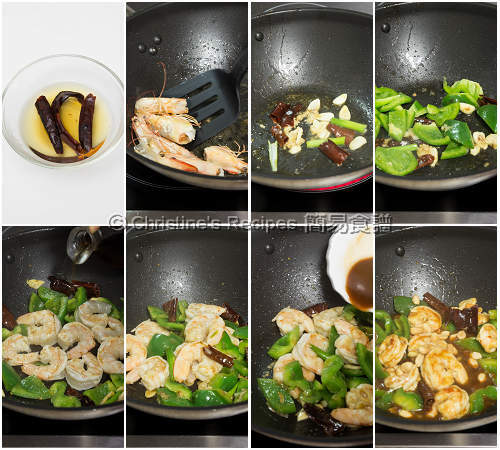 Saute garlic, white parts of spring onion, ginger and red chillies until aromatic. Add green capsicum. Stir to combine. Push vegetables to the sides of wok. Add some oil in the middle. Increase heat to high. Add prawns and place in one single layer. Fry until colour changed. Turn to the other side and cook briefly. Sprinkle wine. Immediately stir to combine. Pour in the sauce and bring it to boil. Once the prawns are just cooked. Add green parts of spring onion and stir in peanuts. Serve immediately. After soaking the dried red chillies in hot water, cut in halves, and remove the seeds inside. Then you dish won’t be too hot. Or you may leave the seeds inside and add more chillies if you want it more spicy. Sauté the prawn heads in enough oil. It takes the whole dish up to a notch by adding an extra prawn aroma. You may skip this skip though. One of my favourite Szechuan dishes. I like mine with lots of peanuts!